From The Patsy's Bunch: Mover and Shaker Picture of the Week! 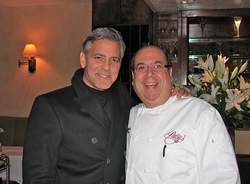 ​Sal makes the best manicotti you will ever eat and he knows Greg Brady! ...who is otherwise known as Barry Williams. Sal Featured On Huff Post Live for National Linguine Day! I was so happy to be featured on Huff Post Live! I was interviewed and prepared our Linguine Puttanesca recipe for National Linguine Day! Play the video to the right to watch the whole clip. I was so happy to be featured on Mashable! We were interviewed by the Mashable team, while I gave a bunch of old stories ranging from Frank Sinatra, the New York Yankees, and much more. If you have a few minutes please watch it and let me know how I did! 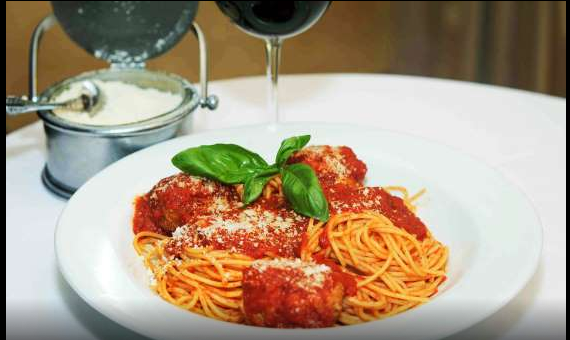 The Scognamillo family has been serving up meatballs and Italian specialties just south of Central Park since 1944. The eatery is known for serving celebrities like Al Pacino and Oprah Winfrey, though Frank Sinatra’s satisfied endorsement helped boost Patsy’s popularity in its early days (his favorite dishes were the arugula salad, littleneck clams posillipo, and veal Milanese). 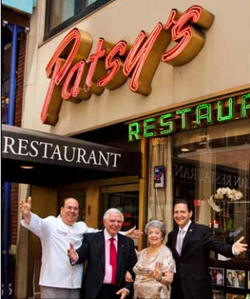 As for Patsy’s plates, its veal meatballs and spaghetti are the most popular signature item, which have been made from the same recipe for three generations of Patsy’s family chefs. If you’re not in New York City, you can sample these famous meatballs at home with Patsy’s official recipe for mini meatballs. Patsy’s attracts a varied clientele, including an extremely loyal following of regular patrons, Italian food aficionados, tourists, and celebrities. They enjoy the restaurant’s remarkable signature dishes, including succulent veal chops Siciliano, spicy lobster Fra Diavolo, tender chicken contadina, and savory calamari stuffed with seafood.